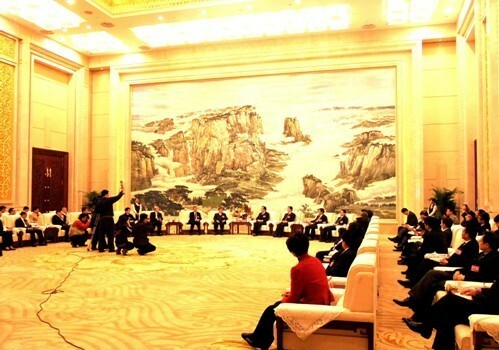 A group of Hebei government officials had a meeting on Jan 5, 2012 with the participants of a recently opened CPPCC conference, who were visitng from Hong Kong, Macao and foreign countries. The Hebei Party Chief Zhang Qingli gave a warm welcome to guests. He said that the achievements of the province can partly be attributed to the efforts of Hong Kong, Macao and international cooperation. He said Hebei is in an era with unprecedented prospects after being listed on the state strategy. The opportunities have developed due to the economic establishment of the province’s southern and central areas. He hoped the participants would continue to promote the province while providing cooperation opportunities and business investments.